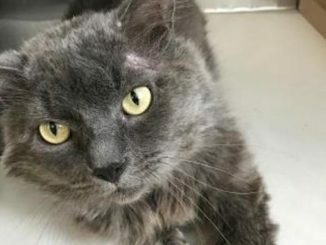 Rufus the cat was rescued from a very difficult life on the streets and bares the scars and battle marks to prove it. He must of had some positive human interaction in the past, as when he first arrived at the shelter he warmed quickly to the volunteers. 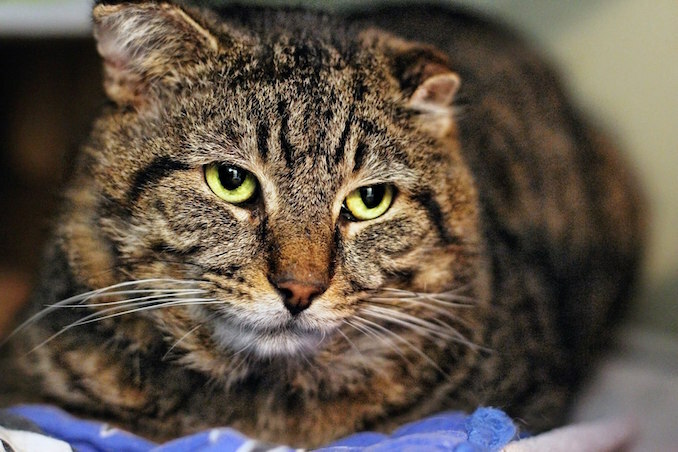 Rufus is a remarkably handsome tabby with thick dense fur, intense amber eyes and a gentle shy purrsonality. 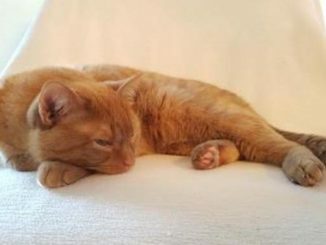 He is is adapting nicely to being an indoor cat at the shelter, he enjoys being served his dinner, cuddling up or stretching out in a soft comfortable warm bed, learning what toys are and how to play and happily accepts human touch and attention. 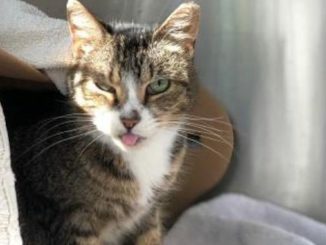 Rufus would make the a purrfect companion for a mature slow placed household. If you what to show Rufus what it is like to have unconditional love and a furever home & family, please fill out an adoption application an contact NTCR.